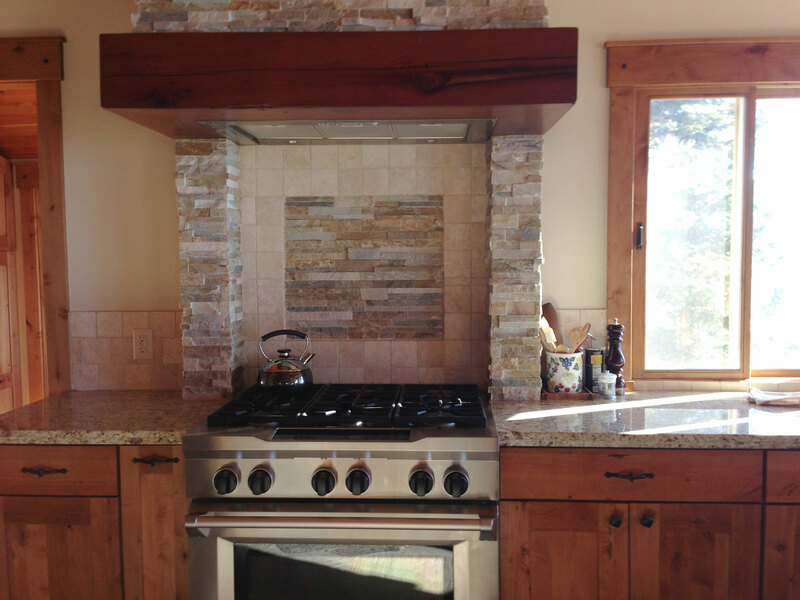 Custom Granite Kitchen countertop and backsplash in beautiful Lake Tahoe home. Honed granite countertop with travertine tile floor. Granite countertop with rustic stone and travertine backsplash. Welcome to Whaley Custom Tile Contractor of Lake Tahoe. 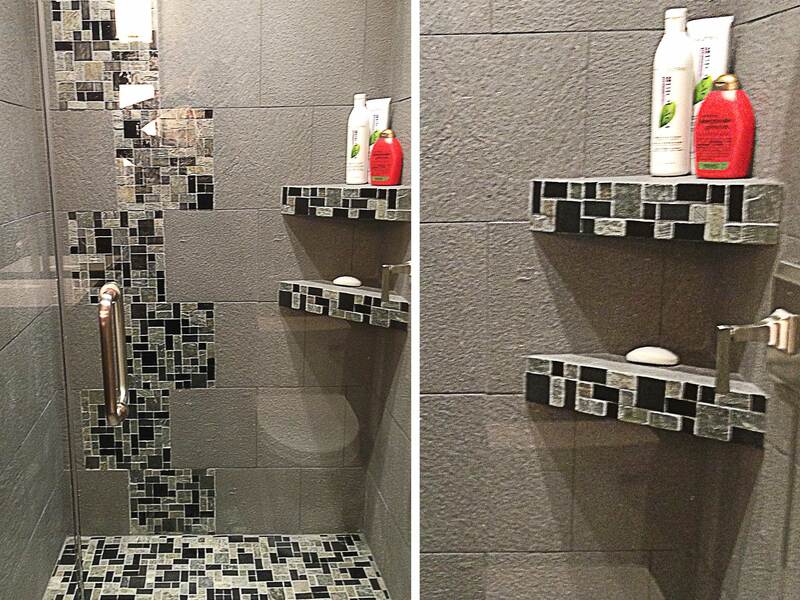 Specializing in tile, granite & stone for nearly 20 years. We'll make your vision become a reality. Lake Tahoe is home to some of the most breathtaking views and spectacular homes. Whaley Custom Tile began because of a passion and drive to create truly masterful works of art in your home with granite, marble, tile or any stone. Being a tile contractor with nearly 20 years of experience in the Lake Tahoe California and Nevada area our single mission has been to create your vision with our talent. 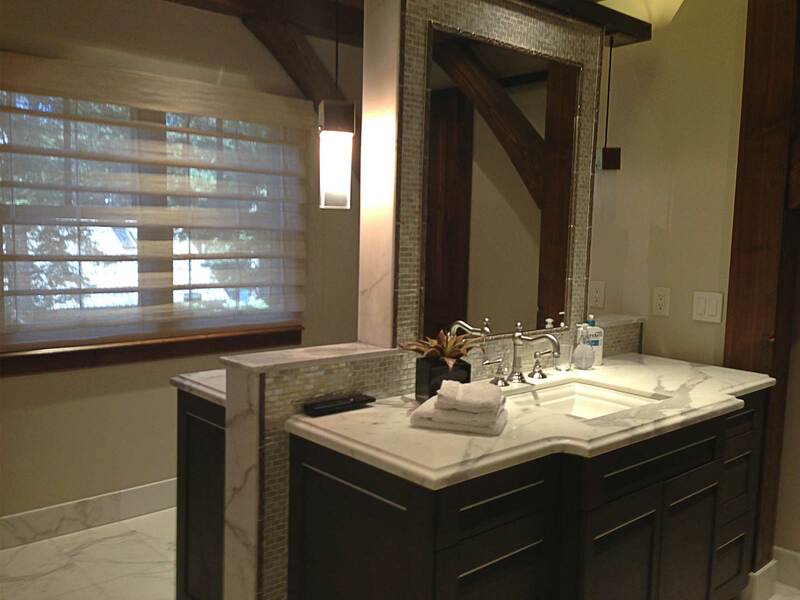 Whaley Custom Tile contractor has nearly 20 years of experience working with granite Lake Tahoe, Reno and Trukee. Our work has varied from multi-million dollar mansions on the shores of Lake Tahoe to the small kitchen remodel in a studio apartment. Let us show our experience in your project. Our experienced team handles any type of installation your project requires. Don’t let your gorgeous granite counters show signs of wear. Planning a remodel? Need some design ideas? We can help! Want to learn how to get that stain out? We have helpful tutorials to show you how. A unique pattern of glass tile mosaic with sand colored slate. 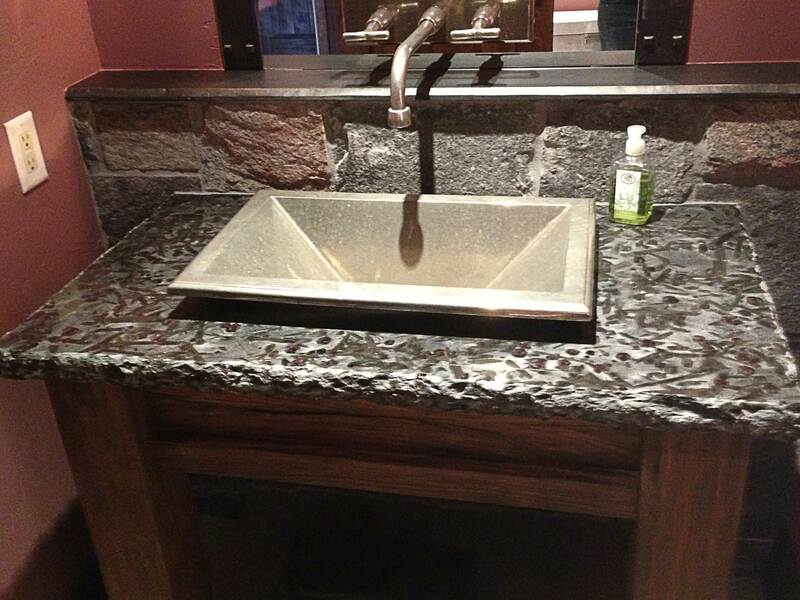 Combining several rustic designs including polished charcoal granite with raw edging, stone backsplash and metal acents. This beautiful home located in Lake Tahoe CA utilizes a polished granite counter top that is offset with a travertine and rough stone backsplash.